ABB has won an order to design, supply and install a microgrid flywheel to stabilize wind generation in Africa at the Marsabit wind farm in northern Kenya. Marsabit, an oasis with a population of 5,000 at the edge of the desert in a windy area of northern Kenya, is not connected to any national grid. 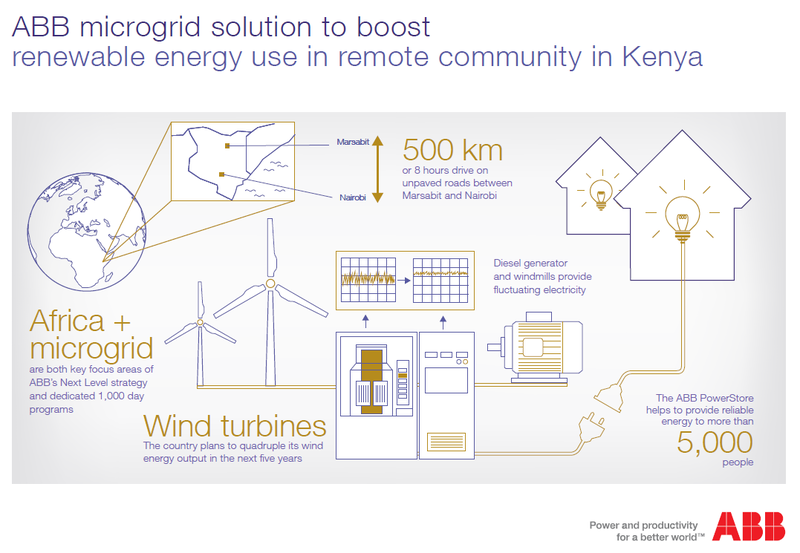 The remote community is served by an isolated microgrid. The area now relies on diesel generators and two 275-kW wind turbines. ABB will integrate its containerized, 500-kW PowerStore stabilization system into the existing power network. It will interface with existing diesel power station controls. Powerstore will help maximize renewable energy use by stabilizing the grid connection and using any excess wind energy generated. The project is scheduled for completion in 2016. “Our microgrid technology solutions can significantly boost renewable integration and can play a key role in helping isolated and remote communities to gain access to clean electricity as in this case,” said Claudio Facchin, president, power systems division. ABB PowerStore is a grid stabilizing generator, used mostly to stabilize and protect power systems against fluctuations in frequency and voltage. This flywheel-based system can inject or absorb power up to its nominal rating, and helps to integrate intermittent renewable energy into a grid, so customers can operate their hybrid plants in an optimal way. Kenya plans to quadruple its energy output in the next five years bringing on board an additional 5,000 MW of capacity, with the aim of providing the majority of its 50 million citizens access to electricity by 2020. The renewable energy sector in Kenya is among the most active in Africa, and the country possesses some of the continent’s most abundant and consistent wind resources. ABB now has more than 30 global microgrid installations for a diverse range of applications such as islanded electrical grids, remote communities and research and industrial campuses. 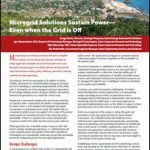 Follow us on twitter @MicrogridNews for the latest on microgrid projects.